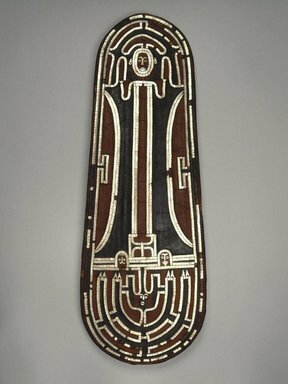 Ceremonial shield, basketry base covered with red and black resin and inlaid with tiny mother-of-pearl squares in typical abstract human form design. Shield possibly used as currency. Condition: fragile but good; - considering type of object. Few pearl shell inlaid missing, resin cracked.